How to Create a Scrumptious Charcuterie Board in No Time! 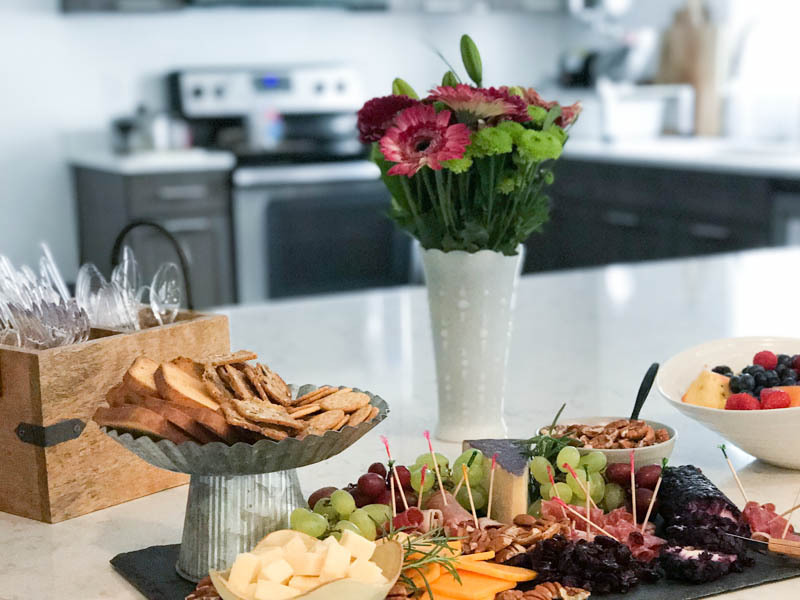 When you’re hosting a party, a charcuterie board and bubbly bar is perfect for a light refreshment! 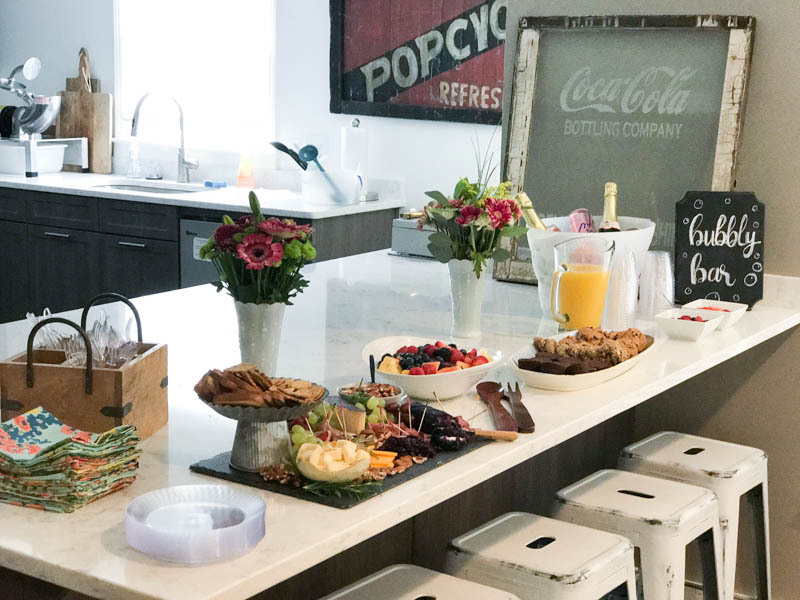 I recently hosted a party for a neighbor of mine who is a Noonday ambassador. In case you’ve never heard of Noonday, it’s a jewelry and accessory company that helps provide sustainable wages to artisans in 12 countries. Noonday connects with talented jewelry designers and artisans all over the world, starting in Uganda. They are firm followers of the Fairtrade principles. Their belief is that everyone deserves to make a profit with dignity. They help designers and artisans in third-world countries understand what kind of things women in the United States want to wear, and use Ambassadors in the US to sell their products through Trunk Shows, creating a profit for the hard workers all over the globe. 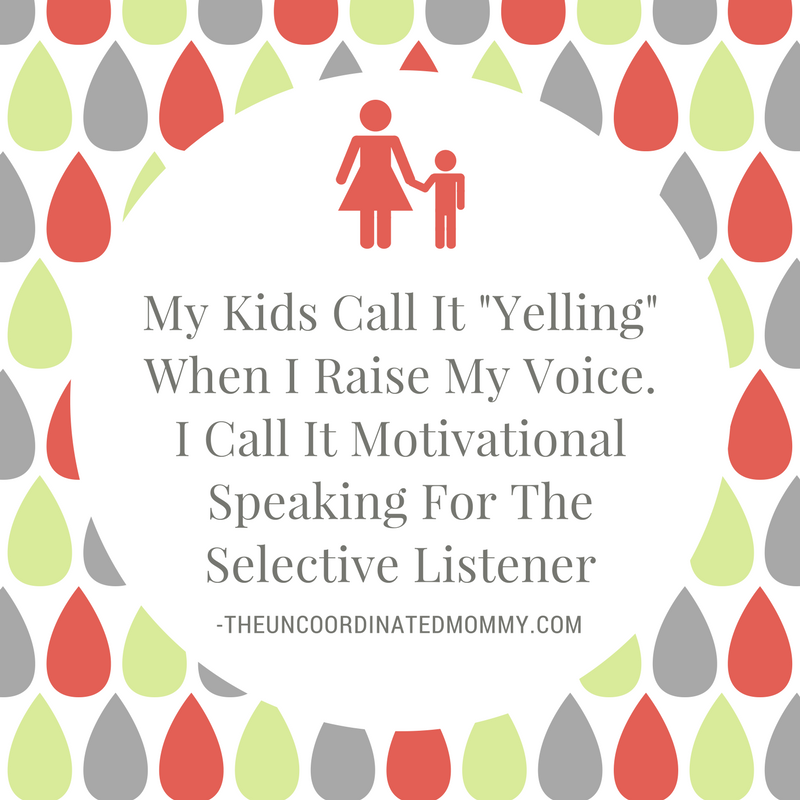 I absolutely LOVE what they do! So when my neighbor mentioned that she was a Noonday Ambassador, I just had to help her throw a Trunk Show party! This was a chance for her to speak about Noonday and their mission and sell the gorgeous handmade jewelry and accessories! Who doesn’t love a charcuterie board? 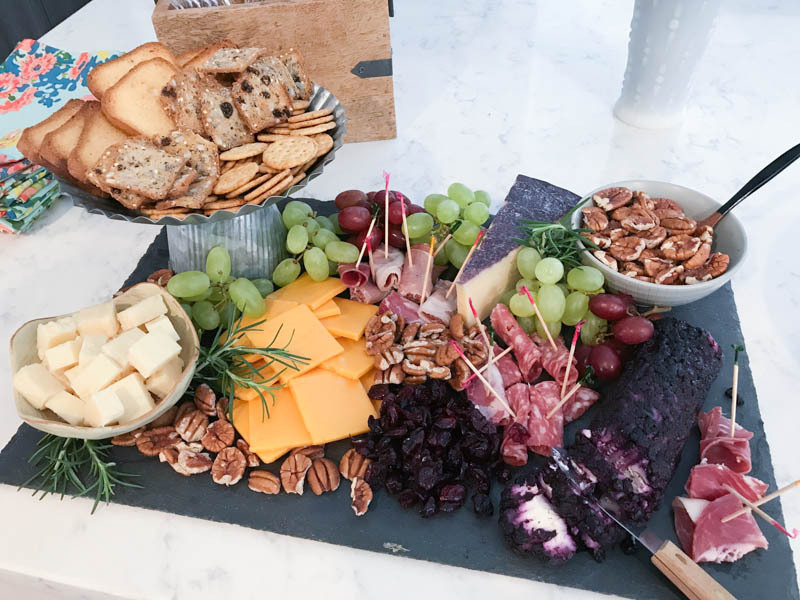 I created a charcuterie board and bubbly bar for this party. Charcuterie boards are essentially a big plate full of cheeses, meats, and various complementary foods. You can use grapes, nuts, crackers, and even jams. The possibilities are endless! I loved creating this gorgeous look. It all tasted fabulous too! I used a slate cheese board to arrange all the different charcuterie board elements. It comes with 4 different cheese servers and 2 soapstone chalks so you can label the cheeses if you’d like! I love it! The cupcake stand I used for the crackers added height and interest to the board. The bubbly bar had various sparkling wines and drinks. I also added orange juice for mimosas and various berries to mix into the bubbly drinks! If you love the chalkboard sign look, you can have a look here to check out signs of all shapes and sizes to fit your budget. It adds such a nice touch to a party, don’t you think? Everyone enjoyed the food, and absolutely LOVED the Noonday collection! The artistic flair in each piece was apparent. It made us all happy to think that by buying their products, we were helping to support women all over the world! If you want to throw a party, why not give a charcuterie board a try? 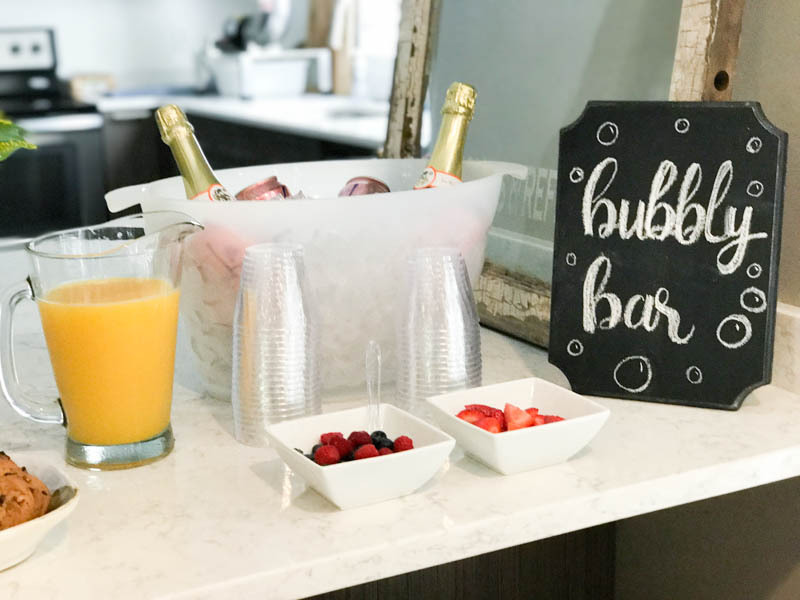 It’s simple to put together, and it looks so impressive combined with the bubbly bar (also super easy)! What’s your go-to party food?